Opening up your mail client or gmail is such a pain, that's why the internet invented contact forms. 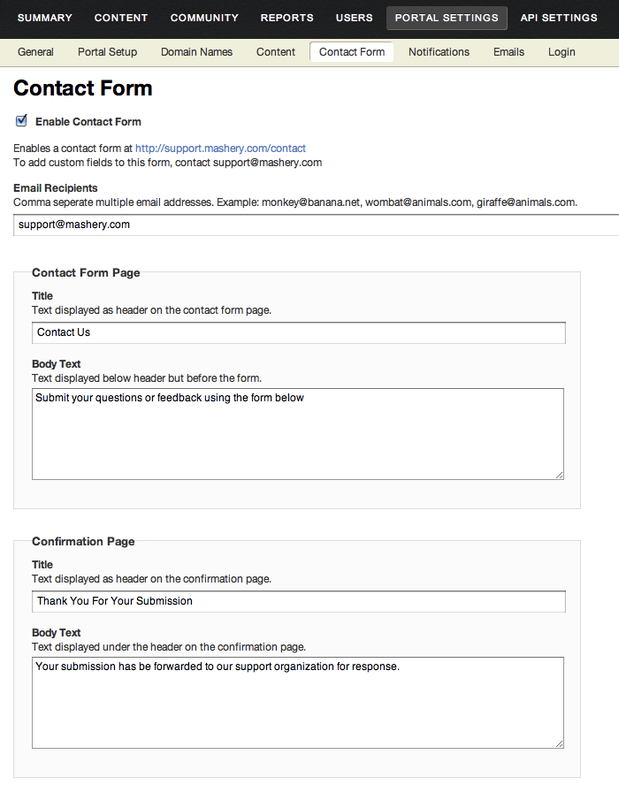 Now you can have a contact form of your own so your developers can easily email you questions, complaints, requests, and of course, copious amounts of compliments. All you have to do is enable it. Go to Portal Settings > Contact Form. Check the "Enable Contact Form" box. Set the Email Recipients, these are the email addresses that the contact form submission will be sent to. Customize the Contact Form page and Confirmation page fields, if you want! If you have any questions or want to add custom fields to your form, use our handy contact form to contact us!